A has no friends. No parents. No family. No possessions. No home, even. Because every day, A wakes up in the body of a different person. A is able to access each person's memory, enough to be able to get through the day without parents, friends, and teachers realizing this is not their child, not their friend, not their student. Because it isn't. It's A. It's a lonely existence--until, one day, it isn't. A meets a girl named Rhiannon. And A falls for her after a perfect day together. But when night falls, it's over. Because A can never be the same person twice. But yet, A can't stop thinking about Rhiannon. She becomes A's reason for existing. So every day, in different bodies--of all shapes, sizes, backgrounds, and walks of life--A tries to get back to her and convince her of their love. But can their love transcend such an obstacle? 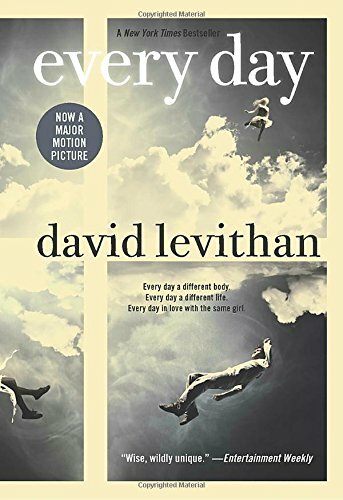 Fans of David Levithan's books, from Boy Meets Boy to Nick & Norah's Infinite Playlist with Rachel Cohn, to Will Grayson, Will Grayson with John Green, will not want to miss this wholly unique love story.